I had to take a break from all the murdering I’m doing on Bloodborne to tell you guys to check out A Villain Turns Mad over at Daily Science Fiction. For those of you who follow me, this is the second one of the series involving the self-professed villain named Dastard Fantastic. The third one in the series is only available for those who’ve signed up for my mailing list… because that’s what a villain would do! It’s not too late, sign up here if you like my comedy or dig Dastard Fantastic’s exploits or both! For those of you who just found me out of some random webz stuff, welcome. You may be lacking context. You’ll want to start with A Villain Considers His Options. Then you’ll be near caught up and ready for A Villain Turns Mad. That’s it! See you guys in whatever spaces we’ll congregate in the near future! I WANT YOU – to read my book! So here we are, years of selling shorts to better and better markets, blogging across continents, 80 war journals documenting life in these trenches, and we’ve finally arrived at a public release of my novel. I’m gonna keep this extra short and teaser free. You folks who’ve read me kinda know how I story and the folks that may be new to me, whether because you’ve stumbled upon this post from LinkedIn or Twitter or my Amazon Author Page, well here’s the perfect opportunity for y’all to get to know me. There’s about 95 copies left for free and then the site takes it down, so grab one before they’re gone. You can find my debut novel Pendulum Heroes here. ‘Tis the season to use the word ’tis! Plus friends and fam come around or toss you invites for you to come around. I don’t know what it’s been about this year, but it’s been a woodwork type of season that everyone’s coming out of. I’m seeing family I haven’t seen in years and friends I’ve seen seldom enough to wonder if we’re still friends. Hell, one friend I met in person for the first time ever. This is all to say I’ve been a bit busy. And having a great time, too. I’m about to go back to that! Offline stuff. Seasonal stuff. ‘Tis stuff! But first, I wanted to give all you guys who check for me a little early present. 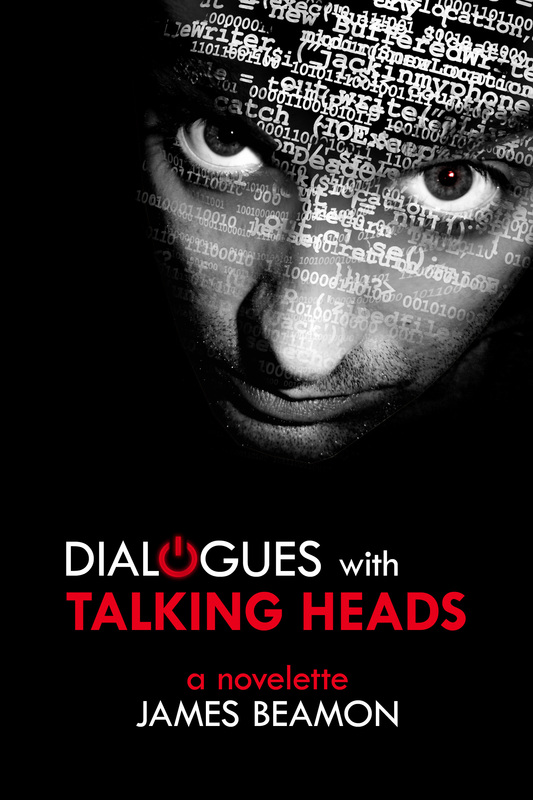 I’m giving away my novelette, Dialogues with Talking Heads, for free temporarily. Not only that, it’s coming bundled with 4 other works from that are also being given away for free for a limited time. It’s a great way to get something I’d normally charge for while getting the opportunity to discover someone new… always great to do that without paying or just having a chinchy bit of “Look Inside” at the first 3 pages over at Amazon. Christmas means more than 3 pages, Amazon! Go here and grab some free reads! I hope everybody had a great Christmas. I got the deluxe shaving set as my flagship gift and I was beyond stoked! No more of this! I just wanted to remind you all that my novelette Dialogues with Talking Heads is still free. Get it today because tomorrow the price becomes an actual price! So grab it, read it, rate it, review it! Today even! And I’ll see you all in the next year.